If brunch is your thing, you might be into this - on April 26th a company in California called In A Jar, LLC filed a federal trademark application for BLOODY MARY ON DRAFT. The application covers, of course, "alcoholic cocktail mixes" in Class 33. Even better for brunchers, the application indicates that this trademark has been in use with the associated goods at least as early as March 1, 2017, indicating the underlying goods are already for sale and probably out there in the marketplace. 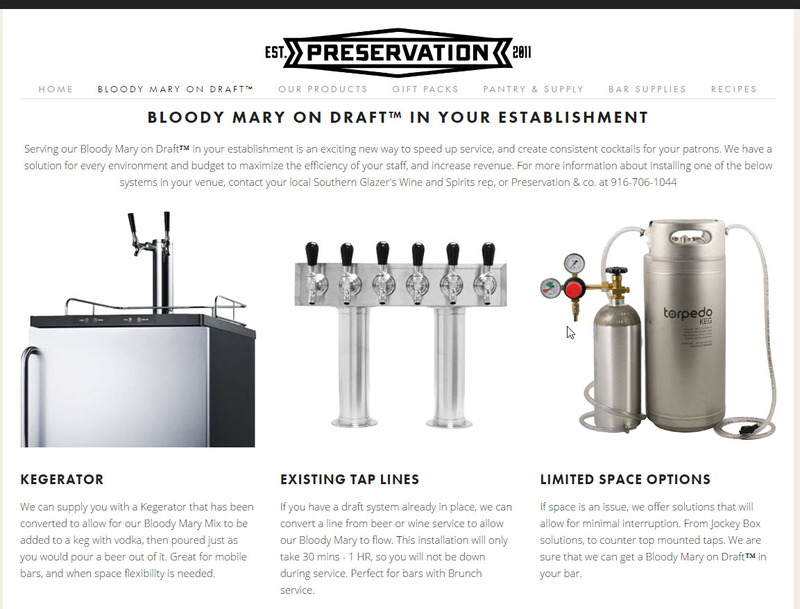 According to the company's website, the company (which appears to be doing business as "Preservation") will provide a bar with a kegerator that works with a bar's existing tap lines, as well as various Bloody Mary mixes that can be used with the system, so that a bar can pour Bloody Mary's just as they would pour beer (ed. - is this available for home use as well?). Will this application face a Section 2(e)(1) refusal, which prohibits the registration of "merely descriptive" trademarks on the Principal Register? See TMEP 1209.01(b) ("A mark is considered merely descriptive if it describes an ingredient, quality, characteristic, function, feature, purpose, or use of the specified goods or services"). Maybe. We will find out in approximately three months when this application is assigned to a Examining Attorney at the U.S. Patent and Trademark Office. So, would you try a Bloody Mary from a tap? I think I'd give it a shot.